Anyone familiar with the Smoky Mountains knows, or at least can imagine, that the holidays are a BIG deal in our communities. Dollywood transforms their entire park in a winter wonderland, the cities of Pigeon Forge and Gatlinburg dress for the part and hold annual holiday shows, parades and special events – but does Sevierville get? 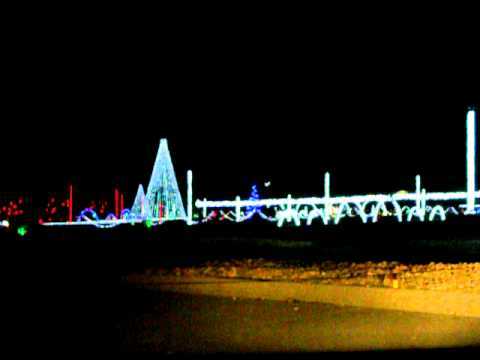 We get the awesomeness that is the Shadrack’s “Christmas Wonderland”, an event so large it requires the entire Tennessee Smokies Baseball Stadium to hold! From the middle of November to the end of December, Shadrack’s hosts everything you and the family could want to celebrate the Christmas spirit, including giant tents with inflatable attractions for kids to play on, Orbitron, pictures with Santa, camel and pony rides and much more. Our cabins are conveniently located near this fantastic family adventure for the Holidays in the Smokies and Sevierville, Dandridge and on Douglas Lake in East Tennessee.